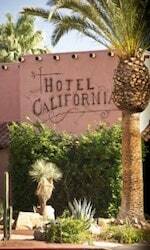 Hotel injury claims in California are more common than you would think. Thousands of native Californians like to have “stay-cations” or stay in these facilities for business. In addition, millions of tourists and vacationers every year like to soak up the California sun. Most large hotels and motels in the Golden State from San Diego to Los Angeles to The Bay Area including large chains like Marriott, Hyatt, Hilton, and similar resorts have good management and maintenance practices but, no one is perfect and negligent acts can and do happen which can lead to serious and, sometimes, catastrophic injuries or even death of a guest or room tenant. Slips or Trips and Falls: Unfortunately, many hotel lobbies, rooms (including bathrooms), and common areas like around pools or in walkways are constructed with flooring materials like marble or ceramic tiles or other materials with fairly low coefficients of friction. When liquid or other slick materials like soaps, cleaning or waxing materials are either spilled or misused, it can lead to slicks that can cause a slip and fall. Likewise, tripping hazards can be created by negligent placement of furniture or fixtures, potted plants or other obstructions. Likewise, lack of adequate illumination can cause persons to miss their footing and take a spill on hard surfaces like concrete or tile. Auto Accidents Within or Around Parking Structures or Involving Hotel Drivers: Many hotels allow both self parking and valet parking. Poor site design, inadequate on-site parking requiring traversing busy streets, or the negligent driving of valets or other hotel employees such as shuttle drivers can lead to car crashes involving vehicles or pedestrians both on and off site. Swimming Pool Incidents: When pools are not properly maintained or supervised, this can lead to falls causing sprains or even fractures and much more serious injuries or even death resulting from electrocutions or severe head, neck or spinal injuries from persons diving or jumping into shallow pools, slides or other water features. Assaults or Other Violence Due to Poor Lighting or Negligent Security Measures: Many resorts in California have extensive grounds including the actual housing tower or rooms, parking structures, conference areas, restaurants and other related business properties. When these various areas or even adjacent property over which control is exerted is poorly lit or has inadequate security measures in place, violent crimes like an assault and battery or other similar incident can occur. Likewise, bar, taverns and restaurants that serve alcohol can be the site of fights or incidents involving other patrons or even hotel employees like bouncers. Sporting Equipment and Activity: Most large retreats, especially in or near our California beaches have sporting activities such as jet skis, boats for rent, water skiiing, scuba diving or even just gymnasiums or fitness rooms. If proper management of these operations is not maintained, serious injury can occur including spinal injuries resulting in paralysis or other serious harm. Construction Site Mishaps: Many inns conduct major renovation projects and do not shut down operations while construction is being conducted. This can lead to mishaps involving heavy equipment or dangerous conditions such as exposed pits or materials such as jagged concrete or re-bar. Animal Related Injury: Many lodging facility chains allow guests to bring pets onto the property including dogs. Likewise, many resort-style properties have horseback riding or other interaction with animals. When prudence is not exercised related to such animals, people can be bitten, take a serious fall, be trampled or suffer some other type of calamity. Elevator and Escalator Injuries: Elevators and escalators that fail can cause persons to fall or crash causing serious bodily harm including head trauma. Like residential and other commercial property owners, operators of lodging facilities are charged with a duty to use “reasonable care” and maintain their property in a reasonable safe condition by discovering unsafe conditions and repairing, replacing and/or giving adequate warning of any condition which could cause harm to someone. California Civil Jury Instruction 1001 This makes them legally responsible for dangerous conditions that they either knew about or should have known about in time to either, “repair, protect against harm, or warn of the condition.” In fact, as “innkeepers”, they have a duty to conduct reasonable inspections of their property for conditions which could cause bodily injury. They are liable for the acts of their employees what are acting within the course and scope of their employment at the time of any incident giving rise to personal injury. Moreover, if a hotel employee such as a maintenance worker creates a dangerous condition, the hotel owner is presumed to have notice of that condition, by law. These duties extend not only to property “owned, leased, or occupied” by the hotel operators but, also property which they have asserted “control.” With regard to third party criminal activity, innkeepers may be liable either if they are providing security and are doing so in a negligent manner or if they have prior notice of criminal activity similar to the type of activity which caused harm and failed to take preventative measures to secure their property. Despite the general tone of the law providing duties requiring reasonable management and maintenance, personal injury claims against resorts, hotels and similar commercial properties are far from simple. Many times there is insurance and some properties are either wholly or partially “self insured” (meaning they set aside a reserve to pay claims). Whether you are dealing with an insurance claims adjuster, self insured administrator or an attorney hired by one or the other, these claims are not paid out easily. Trying to deal with settlement for payment of medical expenses, lost wages and other damages in an amount which fully compensates the victim is impossible, in my opinion, without quality legal representation. You need to promptly inspect the area where the incident took place and conduct other investigation into the incident. Often experts like forensic engineers need to be hired to conduct measurement and testing of the area to determine possible code violations or other indications of negligence. All of this is best handled by a lawyer familiar with personal injury claims related to hotels and resorts. Such an attorney can not only garner the evidence necessary to obtain full compensation but, can ease the burden of dealing with hotel management or insurance representatives and can take the necessary steps and present the claim in the proper way so as to maximize recovery.